The Joan Pye Project has been established to help balance the debate concerning the future of energy in the United Kingdom and to put the case for nuclear generated electricity. The Project generates its own funding and is totally independent of Government departments or other political or commercial organizations. Founded by Joan Pye, MA (Oxon), FINucE(Hon), the Project was established as an independent network of some 10 distant supporters: physicists, chemists and chartered engineers who have spent the major part of their careers in research and in applied areas of the nuclear power industry, and 150 other keen supporters and known supporters of nuclear power including those in the industry, numbering over 150,000. Joan is passionate about the contribution nuclear generated electricity can make towards a clean and reliable energy future for the UK, so the Project aims to educate and inform, allay genuinely held fears, and promote better public acceptance of the current need for energy produced by nuclear power. Joan Pye’s experience as PA to the Head of the Atomic Energy Research Establishment, Harwell where she worked for many years, convinced her that nuclear power is indeed the “Energy for the Next Generation”. 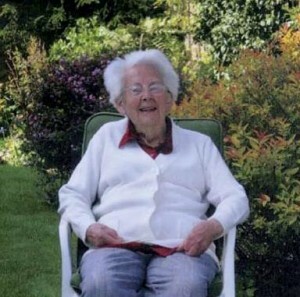 Now a centenarian, she is still the driving force behind the project. Through media campaigns, papers written by its members, responses to Government Consultations and this website, we strive to demonstrate the enormous contribution which nuclear energy can make to sustainable and efficient “carbon free” energy production, and in reduce global warming impact. The project has worked with leading people in Education to produce information which can be used in schools nationwide to educate our children and students on the science behind nuclear energy generation. In addition, in 2009, Joan wrote her memoirs, entitled ‘Atoms for Peace’, which can be bought via Amazon.